One of the most clearly political street artists in Melbourne is Phoenix. 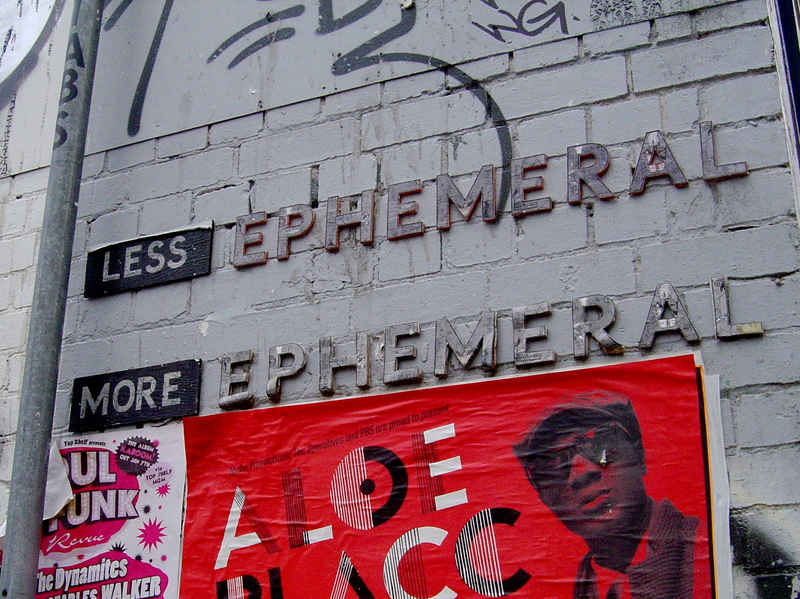 His paste-ups are the visual equivalent of a play by Bercht; they always has a message but you to think for yourself. In the case of Phoenix you have to look at the play of words and images in his paste-ups. Although I write about the politics and street art I haven’t mentioned Phoenix’s work that much because the message is always so clear. But if Phoenix’s work were only political messages there wouldn’t be much art to them. The collage overlay method that he uses to create his images throws up many surreal combinations. The shapes and use of primary colours only make his work instantly recognizable even though there is no tag or other signature. I first noticed Phoenix’s paste-ups when he was using t-shapes and then I met up with him when he volunteered at Sweet Streets. Phoenix is a thoughtful guy; he is not the art student type, and older than the typical street artist, more of a cheerful eccentric. His art reflects his thoughtful approach to life and street art. 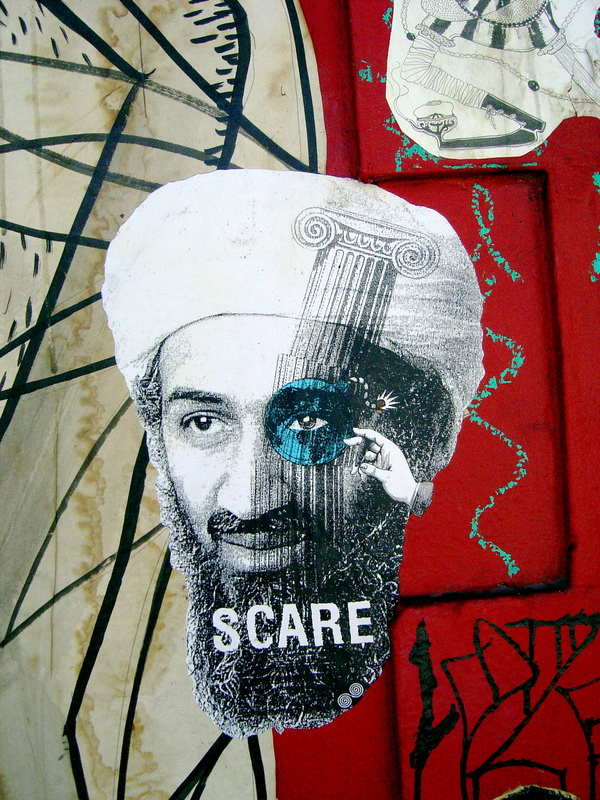 Looking back on the war on terror: I was alert to the anti-war stencils and street art but not alarmed. 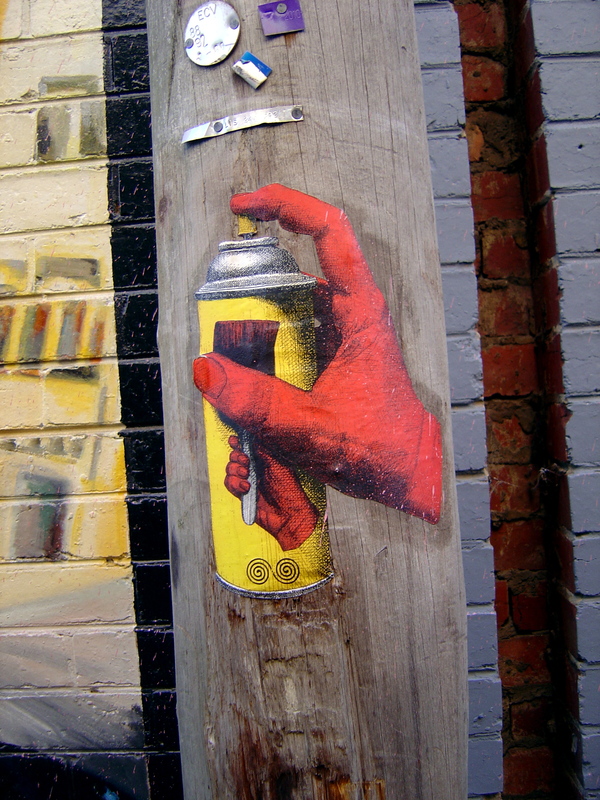 It was a war with many different sides fighting a propaganda war and Melbourne’s street artists were mocking the official line. Mockery the one thing that really works – laughing at the enemy. 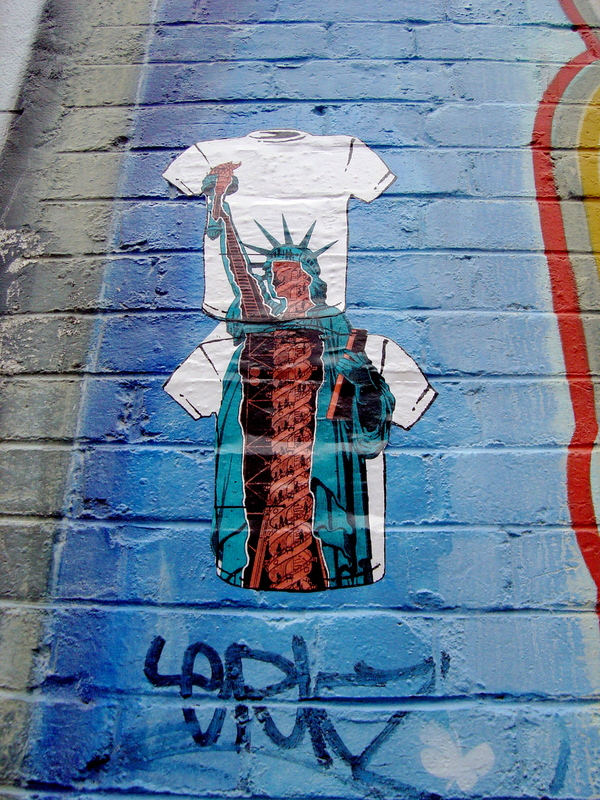 The propaganda war continues on the street with street art and stencils. Phoenix’s art roses from the ashes of a studio fire and now disintegrates on the streets in a loop of creation. 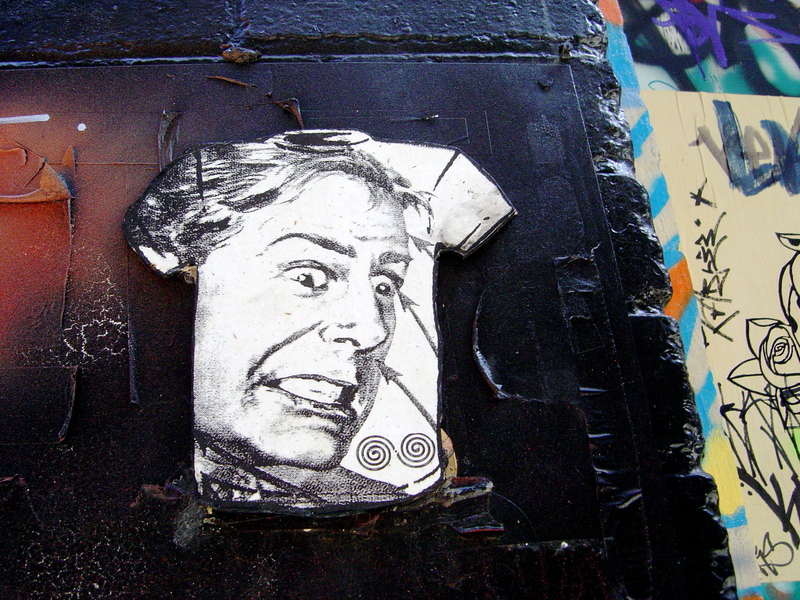 This entry was posted on Thursday, November 1st, 2012 at 2:21 PM	and tagged with Melbourne, paste-ups, Phoenix, political art and posted in Street Art. You can follow any responses to this entry through the RSS 2.0 feed.